Recognising the exceptional performance by their staff across the 168 branches island-wide, Seylan Bank hosted ‘Performance Awards 2017’ recently. Kalutara Branch bagged the winning award for Overall Best Branch of the year 2017, while Nawala branch was placed as the 1st runner-up and Ja-ela Branch followed suite as the 2nd runner-up. Suburb III was recognised as the Best Performing Area. 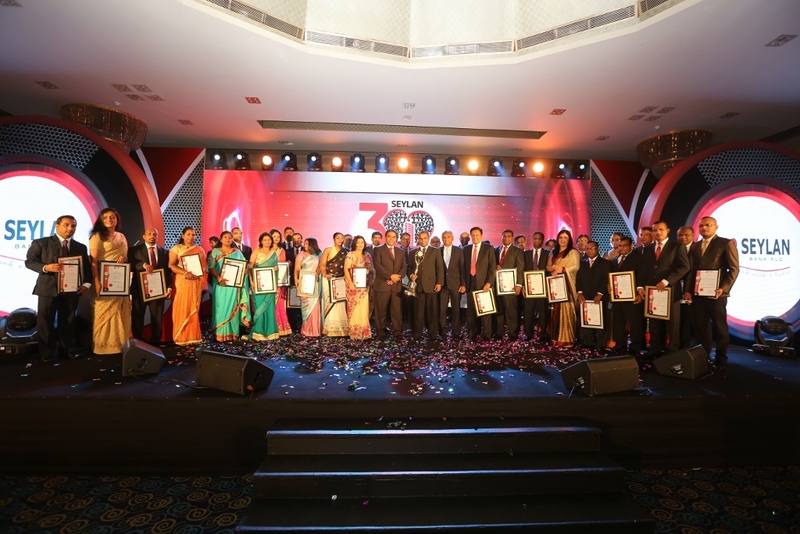 In addition to the main awards, 27 awards were presented to winners in different segments namely; Branch Category Awards, Core Banking Awards, Core Banking Special Awards, Special Awards and KPI Achiever Awards. Chairman W. M. R. S. Dias, Director/ CEO Kapila P. Ariyaratne, Directors, Corporate and Executive management and island-wide Branch Managers of Seylan Bank were in attendance to witness the gala ceremony.